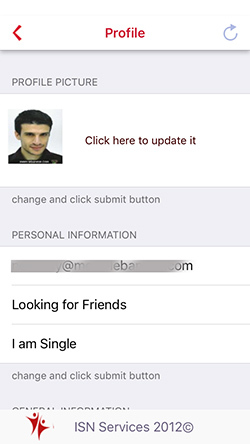 Whether on your website or at the store, the ISN Services Mobile App for iPhone® or Android™ makes it always easiest for you, here is our Lebanese chat application. 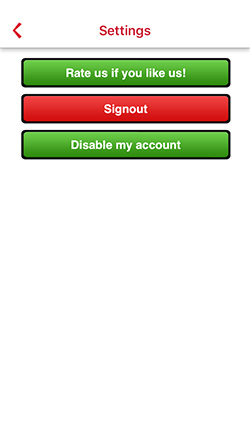 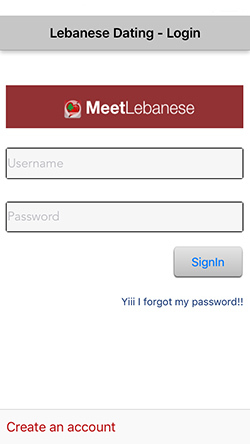 Online meet-lebanese.com users: Simply download the appropriate Mobile App for your Android or iPhone and log in with your Online User ID and password. 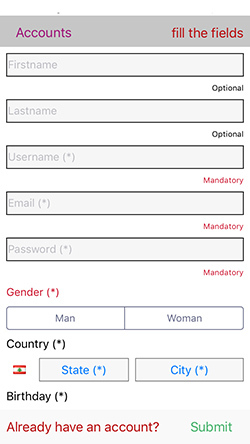 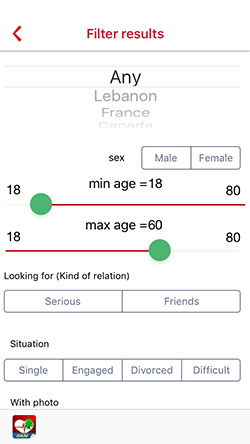 This application is primarily intended for the Lebanese resident or living abroad, but not only them! 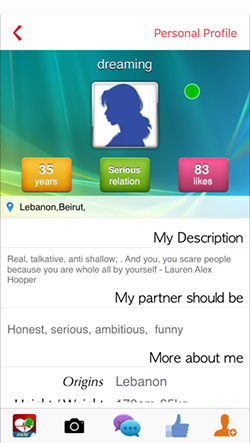 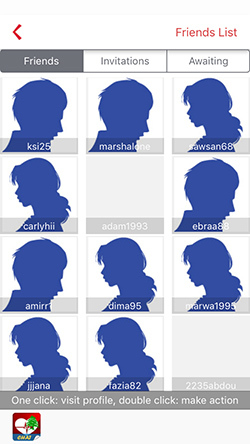 Thousands of people interested in Lebanon, Lebanese Men or Girl can come to chat. 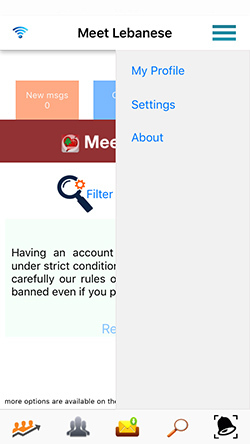 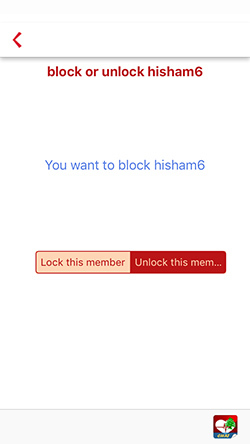 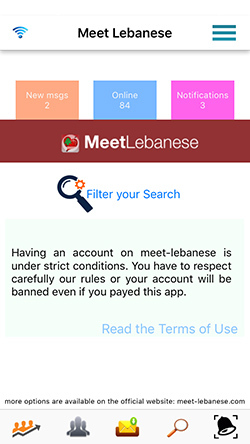 meet Lebanese is well monitored and we reject any profile trying to bother any member of our web app. 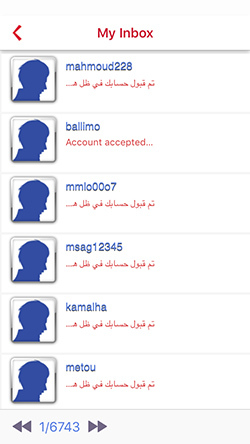 The mobile application (meet Lebanese for chat) is always updated and all updates are totally free. 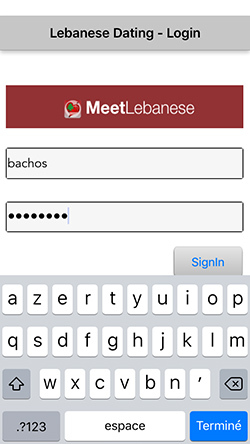 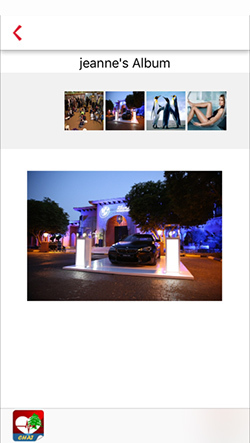 We keep improving, always, the service meet-lebanese.com with his dear users. 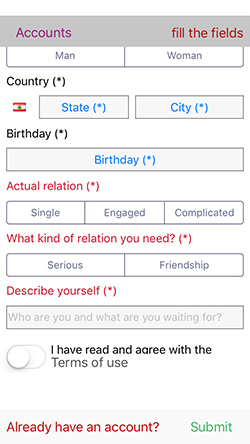 Meet The Lebanese Dating application or "Love & Chat - Lebanon" is compatible on more than 4,000 mobile devices, it can be downloaded for iPhone, iPad and almost 95% of the Android mobile devices!